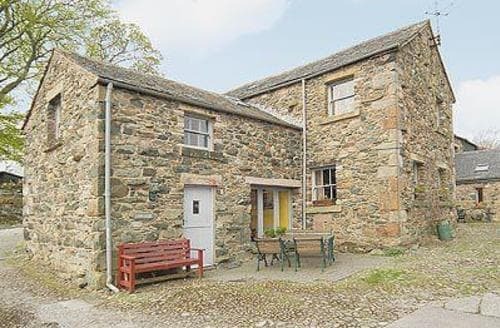 What our customers are saying about our Holiday Cottages In Dockray To Rent. "We arrived on a stormy November afternoon to a very welcoming, warm and cosy cottage. The weather was so wild that we abandoned plans to venture out and opted instead to stay in and listen to the rain lash against the windows and the wind beat against the stone walls. The next morning dawned clear and mild and we were able to appreciate the very pleasant rural setting and the views across the fields. 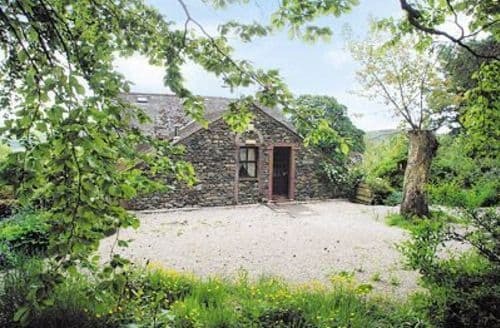 S84838 is a very well appointed cottage, well equipped and very comfortable for 5 adults and a dog. 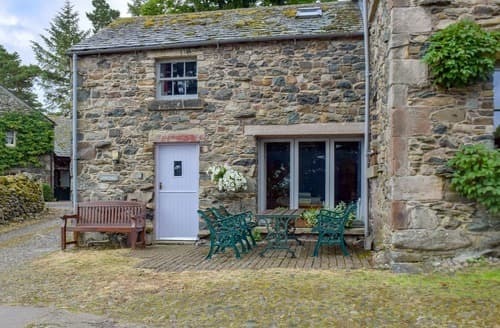 It has possibly the best kitchen and best living area of the cottages we have stayed in over the last few years visiting the lakes and a great drying room! All of the facilities were great and we particularly appreciated the coffee capsules! We chose S84838 because we wanted to explore the Ullswater area and the location is great for that with Glenridding about 8 or 9 minutes drive. There are some good local walks - Aira Force is worth seeing especially after heavy rain, the climb to Airy Crag at the top of Gowbarrow Fell and on to Green Hill is moderately strenuous, the walk up along Grisedale Beck is relatively easy and very picturesque as is the walk around Silver Crag. 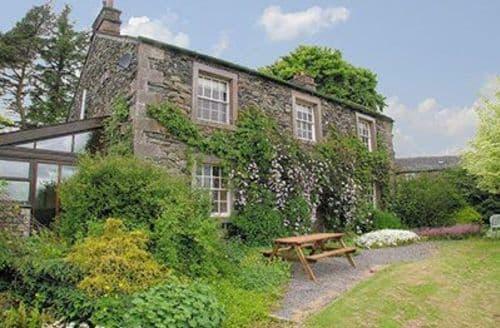 The Inn on the Lake welcomes dogs, as do the Mortal Man and The Queen's Head in Troutbeck which is a lovely daytime drive over the Kirkstone Pass but a bit hairy on a dark stormy night!" 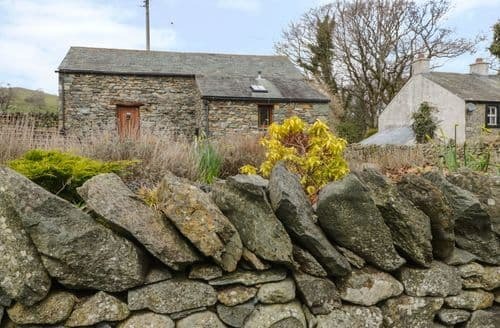 "Owners need to stipulate that this cottage is hard to reach especially that it is situated up a single steep lane with no passing places 4x4 required in winter.Downside on cottage is the layout with it being on 3 floors with living room being in the middle only 1 TV so anyone on ground floor preparing meals misses out on programmes, another TV in kitchen would solve this.Only other area of concern was bath/shower it is so big it was difficult getting in and out, there is a hand grab rail in place but elderly or inform would still find it a task.There was a holiday booklet but it did not have an inventory of equipment nor was there any onto on the central heating.It is a lovely cottage in a really quiet area which is more suited to walkers, but it is not somewhere that I would choose to book again." "Third visit to 'Lowther' as it suits me very well. Great location for central, northern and eastern areas of Lakes, proximity to A66 is very useful. Kitchen very good , though a bit more crockery would help. First-floor living room is really spacious and has great views. Lots of stairs which might cause some people trouble. Central heating very good but timings a mystery, as there's no control within the house - but room heaters help out . 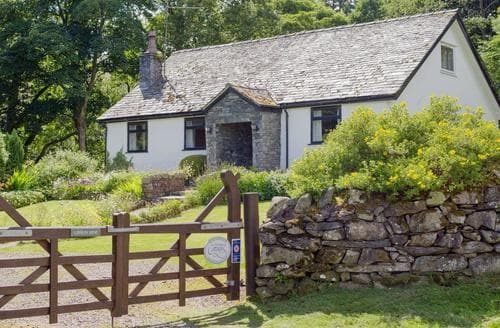 Very good value if you can do without internet or phone reception ( Orange/EE available at the foot of the access road ) . Walks straight from door, and pets allowed." "The cottage is lovely. Very comfortable and well equipped. Wonderful location. Piping hot water double glazed so warm with very little heating. Lovely window boxes full of bedding plants and a bird table with a variety of visiting birds, inc,using a woodpecker. Unfortunately, the one bedroom accommodation is below the two bedroom accommodation and there is no insulation between floors and so you can hear the people above speaking and also walking, which spoils the peace of,the location.We loved the peace of the place, when there was no one upstairs! If we return it would be to a two bedroom property." 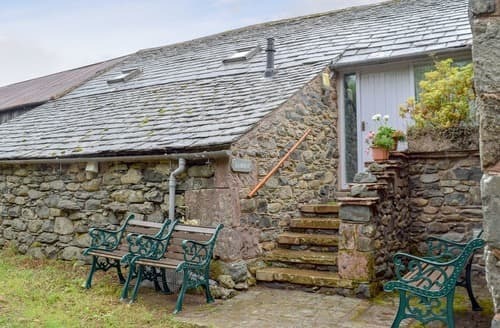 "A lovely remote cottage situated 2 miles north of Dockray in the Lake District. 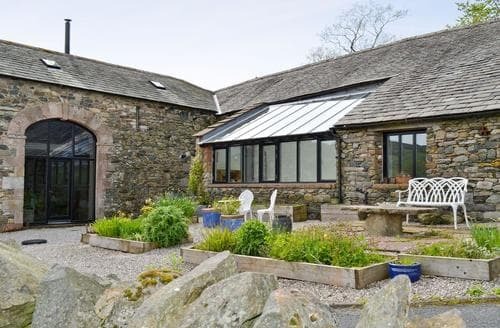 Ideal as a base to explore the Lakes and quick access to Penrith and Keswick via Troutbeck. Our only downside to this location was when it snowed and we were driving a rear wheel driven car. The road which leads to the cottage was very icy and slippery and made access and departure almost impossible because of the snow covered ground. Gritting boxes were on hand but relied upon locals to grit the road area - which didn't get done. Car advice would be to have a 4x4 or a vehicle with winter tyres."